Ch.13: As-tu un animal? : Do you have a pet? Pupil shows drawings of his bird and his dog. a bilingual dictionary? ..or a picture dictionary? A simple bilingual dictionary arranges words in each language's alphabetical order (so they are easy to find), and introduces children to the dictionary skills they need to develop as they mature as language students. We suggest how to learn dictionary skills, so you avoid mistakenly using French words in the wrong context, or trust in "false friends" that sound like an English homonyms, but have a different meaning. A picture dictionary arranges words according to themes, which could make it less obvious where you would look for a particular word. Some words may be difficult to illustrate unambiguously. For these reasons, "grown-up" dictionaries don't use this format - but a picture dictionary can be helpful to beginners, who have a small vocabulary - mainly words with concrete meanings. We have selected ideal first French dictionary, offering detailed coverage of core vocabulary in a clear, easy-to-use format. The dictionary has been designed specifically to meet the needs of children learning French, especially at Key Stage 2. Core vocabulary is covered in detail with simple examples to illustrate usage, key phrases and carefully selected illustrations. This dictionary has been designed not only to appeal to children and their parents, but should also be useful for teachers who may be faced with the challenge of teaching French for the first time. Instead of asking students to keep their own A-Z record of new French words they learn, why not try working together on a group effort that you can all talk about as you make new entries? Encourage children to add to the dictionary when they find a useful new word. When a student is looking for a French word, suggest they refer to the class dictionary, in case another student has already added what they are looking for. How can a modern foreign language be integrated into the primary school day? How can learning a foreign language enhance literacy development? 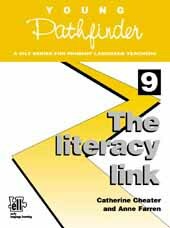 The literacy link considers a wide range of skills and their development through MFLs, both for KS1 and KS2 - vocabulary extension; confidence with text, with listening, speaking, reading and writing; phonological awareness, phonics and spelling; grammatical awareness; sentence construction and punctuation; reading comprehension; and writing composition - supported by practical examples of activities. When you introduce French into the primary school curriculum, it is a good idea to use the language in otherwise familiar contexts across the curriculum. If your class is already learning to use software for data handling, it is best to carry on using the same package for the French work. they present their findings in graphs and diagrams labelled in French - at least to start with, using the singular of the nouns, because that is esimpler. We have not found any software where all the menus and program dialogues are in French. With young beginners, this would probably involve exposing them to too much and too difficult vocabulary too soon. So we recommend using the same software that you use across the curriculum, and to discuss in English any problems that arise when you are using the program, (or the normal class language) as you would in other lessons. it helps them conduct surveys by themselves, prints out blank sheets for tallying the data (on which French words can be used), and enables them to graph the results in a variety of formats with French labels - including bar charts, pictograms and pie charts, which are suitable for the activities suggested in the EARLY START French starter pack. For more information,go to www.spasoft.co.uk - where free demonstration copies of software can be downloaded. You can buy direct on-line if you wish. The activities outlined below are also a good way for pupils to revise numbers. Play "What shall I draw?" Ask individual children to tell you what animals to draw on the board or OHP. When you have finished, count up the numbers of cats, mice etc. Ask pupils to draw the menageries they would like to have. Ask them to say what is on their pictures. Making your own flashcards and activity sheets with extra pet animals to add to those included in EARLY START French will be something many teachers want to try. http://www.mflgraphics.co.uk - has black and white pictures grouped in topics and is aimed specifically at language teachers.